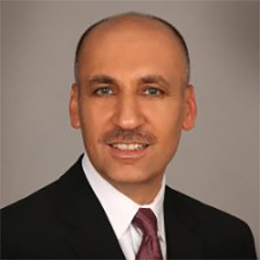 Mustafa Saadi received his Bachelor in Civil Engineering in 1996, and Master in Engineering Management in 1998 from the American University of Beirut, Lebanon. He held consulting and contract management positions in Lebanon at Dar Al Handasah Consultants, the Council for Development and Reconstruction, and the Ayman Sanyoura Architecture and Management firm. He moved to the U.S. in 2006 with his wife Sarah Kabbani, M.D, where they both pursued graduate studies and training. 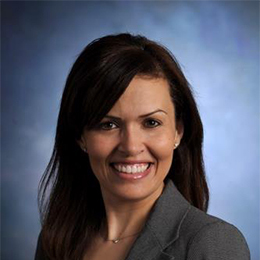 At the University of Michigan, Ann Arbor, Mustafa earned a Masters in Construction Management, a Graduate Certificate in Spatial Analysis and Geographic Information Systems, and a PhD in Geotechnical Engineering. He is a licensed Professional Engineer, and after moving to Atlanta in 2011, is now employed at Geosyntec Consultants, a specialized consulting firm that works on complex problems involving the environment, natural resources, and civil infrastructure. Mustafa was an active member in several student organizations during his time at the American University of Beirut and the University of Michigan, and reached the position of Deputy General Commissioner of the Lebanese Scout Association. He currently serves as a committee member of the Worldwide Alumni Association of AUB (WAAAUB) local Atlanta Chapter. Since moving to Atlanta and enrolling his sons in the Arabic classes, he has been an active community member, volunteer and supporter of the Alif Institute, and is dedicated to its mission statement. Omar Fouad was born in the United States to an American mother and an Iraqi father. Growing up in the Midwest, Omar chose to pursue his education at Purdue University to study electrical engineering. Active in many campus activities, he served as president of the Organization of Arab Students. Upon graduation he moved to Cincinnati to start his career as a sales engineer selling factory automation products to mainly manufacturing clients. Working for the Cognex Corporation, his career took him to Nashville for one year and then to Atlanta in December 2009. Omar is currently attending Goizueta Business School's evening MBA program at Emory University. He has been active at Alif through volunteering for the Arab Festival committee along with co-chairing and serving as the mc for the 2012 Annual Gala. Ms. Susan Anderson is Founder of The ArtReach Foundation®, an international non-profit since 1999, dedicated to children and adults in their recovery from the traumatic effects from war, violence, or natural disaster, ArtReach offers training programs to teachers, social workers and healthcare providers. Though she was educated originally and employed for many years as an organic chemist, her humanitarian passion led her to the world of nonprofits. Ms. Anderson's work has been recognized worldwide for ArtReach's mission that has served victims in Bosnia, Jordan, Lebanon, Palestine, Iraq, Haiti and the U.S. She was selected as a 2011 Purpose Prize Fellow by Civic Ventures/Encore Careers for her work as a social innovator. Currently, she serves on the Boards of The Grandmother Project and the Alif Institute. Susan, married for 35 years to James Anderson, is the proud mother of two grown sons, and two granddaughters. She resides in Historic Brookhaven. Rami Arfoosh, MD. FAACP. FAASM Dr. Rami Arfoosh was born in Homs, Syria and graduated from Damascus University/School of Medicine in 2000. Shortly after he immigrated to the United States. He completed his Internal Medicine and Pulmonary post-graduate training at Chicago Medical School/Rosalind Franklin University in North Chicago, IL. He also completed Critical Care and Sleep Medicine post-graduate training at Wayne State University in Detroit, MI. He is ABIM Board certified in all four specialties. 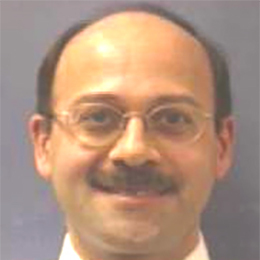 Dr. Arfoosh worked as a faculty at Wayne State University in Detroit, MI. He lectured medical students, residents, and fellows. He published several abstracts and papers in pulmonary and sleep medicine. 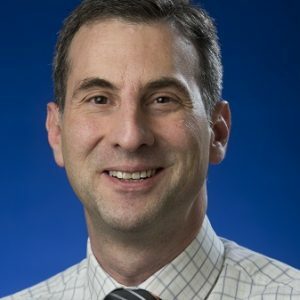 Dr. Arfoosh has been in practice in Georgia since July 2010 and is currently an assistant clinical professor and instructor for medical students at the Georgia Campus of Philadelphia College of Osteopathic Medicine and the GHSU-UGA Medical Partnership with the College of Georgia and UGA Health Sciences department. He currently practices in private practice and has privileges at multiple hospitals in Northeast Georgia. 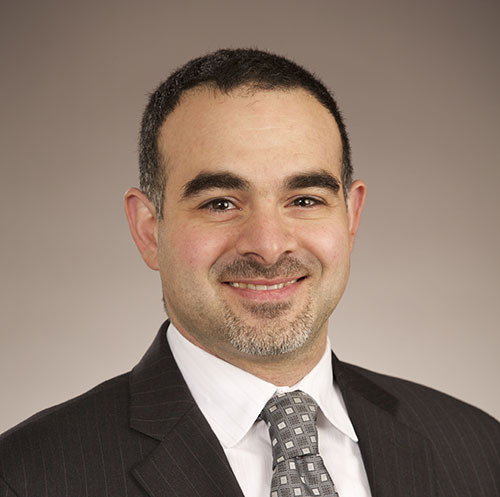 Dr. Arfoosh is a recipient of "The Professionalism Award" from Chicago Medical School in 2005 and several other awards in recognition of his personal manners and outstanding patient care. He is a fellow of the American College of Chest Physicians and the American Academy of Sleep Medicine. Dr. Arfoosh is married to Dr. Rasha Al Samara. He has two boys Zain and Jude. On his free time, Dr. Arfoosh enjoys soccer, photography, and reading. 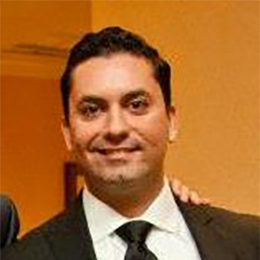 Dr. Arfoosh joined the board of Alif Institute in 2014 and currently serves as president. Akram is Palestinian and has been in Atlanta for most of his life. He graduated from Georgia Tech in 2013 (BS Business Administration with a concentration in Marketing) and began his career as a consultant with NCR for two years before moving to CareerBuilder to manage their Customer Success Team. Outside of that, Akram has been coaching CrossFit for the past six years on the side and puts a huge focus on overall health and fitness. The rest of his time is spent out with the community or traveling. Syrian born, hold bachelor degree in architectural engineering from university of Damascus and masters degree in urban architecture from university of Oregon. Arrived to Atlanta in 2013 with husband and 4 daughters. Love being a part of Alif family. 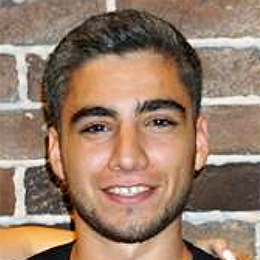 Haitham Haddad attended the American University of Beirut, Lebanon, where he received a Bachelor Degree in Architecture with the Penrose Award of Excellence. An award winning architect, graphic designer, and illustrator with over 30 years of national and international experience in these fields, he is currently a partner in an international architecture firm with offices in Atlanta, USA, and Doha, Qatar. 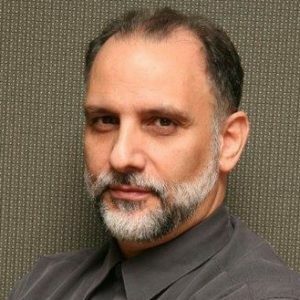 An accomplished musician and composer, Mr. Haddad taught architectural design and watercolor painting at his alma mater for 4 years, volunteered as an envoy with the Atlanta Committee for the Centennial Olympic Games, and served on the Board of the Alliance Française d'Atlanta from 1992 to 2006. 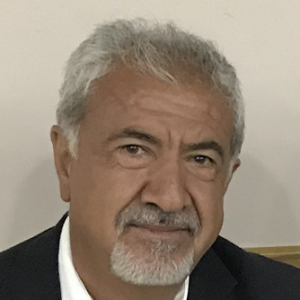 Mr. Haddad is also one of the founders of Alif Institute where he served as President from 2006 to 2008, and is currently serving as a Board Member. John Mulholland is originally from San Francisco. He has resided in six countries including Saudi Arabia, Kuwait, and the UAE for over twenty years. He has a Bachelor's in Management from Golden Gate Un. in San Francisco and a Masters in Arabic Studies from Georgetown Un. In Washington, DC. For the past twenty years he has worked in Latin America. His languages are Italian, Spanish, Arabic, and Portuguese. Mr. Mulholland sums up professional career as an expert in International Business Development. His major employers have been the U.S. Army Corps of Engineers, Arabian Management Services, Ameron International, KHD Humboldt Wedag and currrently Gambarotta-Gschwendt SRL. Mr. Mulholland is married to Gabriella of Florence, Italy. They have four independent and successful children of whom they are very proud. He has resided 18 years in the Atlanta area. Beyond his professional career John Mulholland is a past President of the American Businessmen of Jeddah (Saudi Arabia), a past Board Chairman of the National Council on US-Arab Relations (www.ncusar.org), a past Board Member of COMEX (www.thecomexgroup.com), author of numerous articles on the Middle East and Italy, and a somewhat fanatic road cyclist. Dimitri is a graduate of the University of Tennessee (BS Business Administration, minor: Spanish) and of Holy Cross Greek Orthodox School of Theology (MTS, minor: Byzantine History,Greek language studies). A native Alaskan, he grew up on a farm in south Florida, was a high-school, summer exchange student in Venezuela, and twice has lived in Kenyan villageswith Orthodox Christian NGO teams, building a church and a parochial school. 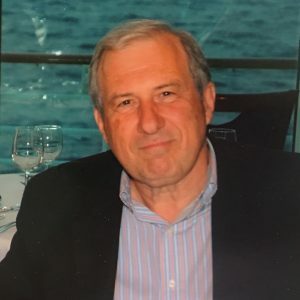 Dimitri has worked in the banking, airline, telecom and beverage industries, including 24 years at The Coca-Cola Company, in the Chairman's Office and in Worldwide Public Affairs & Communications, serving as Client Relations Manager for foreign-based clients and governmental trade delegations. Traveling extensively with executives from various cultures has given Dimitri a keen insight into the common human elements shared by people everywhere. His personal travels include visiting friends and chosen family in Jordan, Palestine and Dubai. He has also spent a great deal of time in villages from Galilee to Bethlehem, evaluating NGO aid programs, and experiencing hardships of occupation. He has met with PA parliamentary members, philanthropists, artists, doctors, anthropologists, clerics, writers, peace activists and citizens from all walks of life, to better understand their daily lives. He is a strong advocate for nonviolent solutions to effect sociopolitical change, and now works in the government/public sector. His interests include Middle Eastern politics & culture, pre-Revolutionary Russian history, 19th- century English literature, and foreign films. Dimitri is a long-standing member of Alif Institute where he moderates discussions on films from and about the Arabic-speaking world, and serves on the Alif Board of Directors. He currently serves on the Finance, Gala and Film Selection Committees. He was a co-founder of the Mystick Krewe des Acadiens, a cultural heritage society for French-Americans with Louisiana roots. He speaks Spanish and conversational Greek, and understands elementary French, Portuguese, Italian and German, and is slowly learning Arabic. Samar Sulieman is Palestinian. She was born in Saudi Arabia and raised in Doha, Qatar. 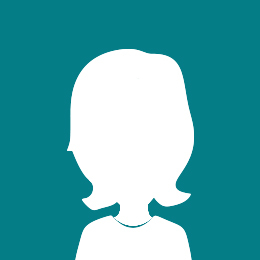 She relocated to the United State in 1990 and pursued a career in Healthcare Management. She was the manager of a private medical clinic, specializing in Nephrology and Internal Medicine, for twenty years. During her free time she enjoys spending time with her four children, volunteering and cooking. 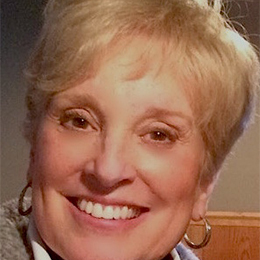 Alta Schwartz graduated from Emory University with a Bachelor's degree in Near Eastern Studies and studied Public Administration/Nonprofit Management at the Andrew Young School of Policy Studies at Georgia State University. She has a long history of professional and volunteer service in nonprofit and higher education dealing with the Middle East and social justice issues. Alta sees education and outreach as the necessary foundation for creating strong, vibrant communities. Noura was born and raised in Amman, Jordan. Graduated from Albalqa Applied University with a bachelor's degree in finance and banking sciences. She worked at Bank of Jordan as a credit officer for four years. She immigrated to the U.S with her husband in 2010. Her passion to teach had led her to join Alif Institute in 2011. During that time, she taught children and adults at different ages and levels under the tutelage of Mrs.Ghada Muhanna for the last seven years. 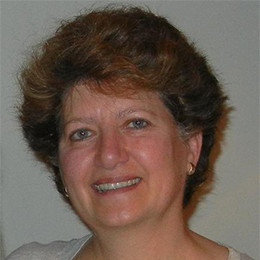 She also attended many regional workshops and conferences for teaching a foreign language. By the end of 2017, Noura started her new role as the Arabic Language Program Director. Noura's main objectives are to Implement new learning methods, grow Alif programs and community, and foster appreciation for Arabic language and cultures in the Arab and non-Arab communities. 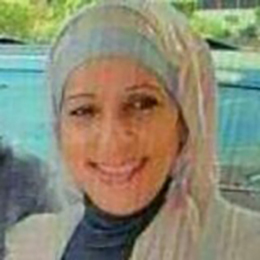 Zainab Al Qasiri joined the Alif team in 2013, shortly after she immigrated to United States from Iraq. 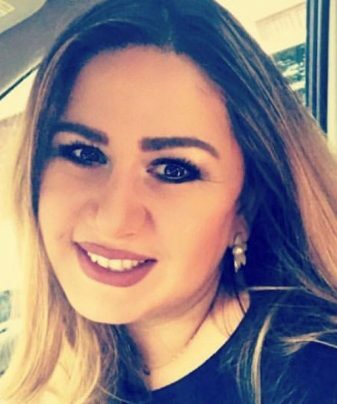 After graduating from Baghdad University with a Bachelor's degree in Physical Education, she taught primary and high school students for six years. After teaching, she worked for five years for the US Agency for International Development as a monitor and evaluator for programs that helped people rebuild homes and schools that were destroyed as a result of the war. Zainab enjoys working at Alif because she loves to help people and build up her community. Elizabeth "Liz" Talamas was born in Haiti of Palestinian parents and moved to the U.S. when she was five. She grew up in Brooklyn and Scarsdale, New York and then attended Fordham University where she graduated with a BS in Accounting. 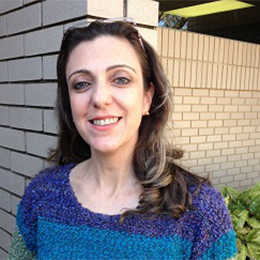 After graduation, Mrs. Talamas began her career in information technology. 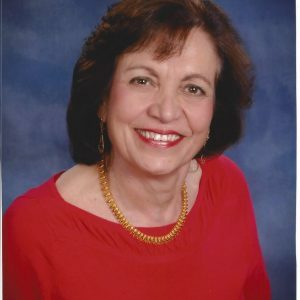 She worked for Georgia State University for over 30 years and retired in 2012 as Director of Technology of the Robinson College of Business. Mrs. Talamas met her husband in New York. They moved to Atlanta over 40 years ago, where they raised four children, three of whom reside in Atlanta and one in New York. Her husband passed away in 2009. Mrs. Talamas first learned about Alif Institute when she saw a picture of Angela Khoury and her family on the cover of The Tucker Times. After visiting a few times, she joined the Knit & Stitch Club and began volunteering. In addition to her Knit & Stitch and numerous other volunteer activities, Mrs. Talamas became Alif Institute’s volunteer bookkeeper in 2016. Specializing in teaching Arabic to both native and non-native Arabic speakers. She received her Bachelor of Philosophy and Psychology from the Arab University of Beirut and was certified by the United Arab Emirates (UAE) Ministry of Education to teach Arabic. Currently she also teaches at the The Carter Center for the Alif Institute. Carla Bitar was born in Aleppo, Syria and moved to the United States in 2012. She has a Bachelor's degree in business administration. She was drawn to teach Arabic at Alif to maintain her connection to Arabic culture and to share her love for culture and community with others. Nuha Husain has taught at Alif Institute for seven years. She received her Bachelor's degree in Mathematics form Ramallah College of the Arts. 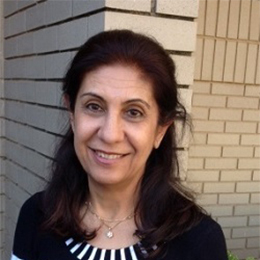 Nuha has taught in many fields, including math, Arabic, and religion. She enjoys exploring new methods of teaching. In addition to teaching at Alif, Nuha is a substitute teacher at Al-Falah Academy. I'm a native speaker of the Arabic language, born and raised in Syria. I hold a Bachelor's degree in accounting from the University of Aleppo. I moved to the states in 1992, And started teaching Arabic as a private tutor and classroom teacher in a private school here in Atlanta. The Arabic language is a very rich and beautiful language and I enjoy teaching it! Nayef Abuaisheh immigrated to the United States from Palestine in 1979. 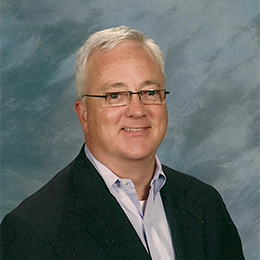 He received his Bachelor's Degree in Civil Engineering in 1985 from Bradley University, Peoria, Illinois. While in college, he founded the International Student Society and was its first president. Mr. Abuaisheh has a diverse entrepreneurial career with experience in real estate, restaurant management, the shipping industry, and most recently with alternative energy. He is president of Safad Enterprises, Inc., a company that established the first BP gas station in Georgia to supply E-85 Fuel to flex fuel vehicles. And while working with the Georgia Environmental Facilities Authority (GEFA), he was awarded a grant to install dispensers to sell E-85 fuel. Mr. Abuaisheh has served on the board of Alif Institute since 2004, serving as its president from 2010 to 2012. Dr. Imad El-Kebbi attended the American University of Beirut where he received both his Bachelor's Degree in Biology-Chemistry with High Distinction and his MD with Distinction. Shortly thereafter, Dr. El-Kebbi arrived in the United States for his post-graduate training in Internal Medicine at Baylor University, followed by a clinical fellowship, and later a research fellowship in Endocrinology and Metabolism at Emory University. He has spent many years consulting with such agencies as the Centers for Disease Control and the World Heath Organization. 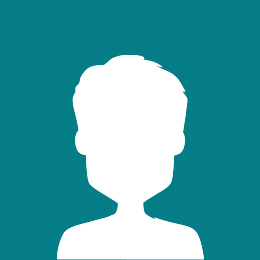 Currently, Dr. El-Kebbi is a staff physician with Piedmont Medical Care in Atlanta, Georgia. Dr. El-Kebbi, on the board of Alif Institute since 2008, served as president in 2012 and 2013. 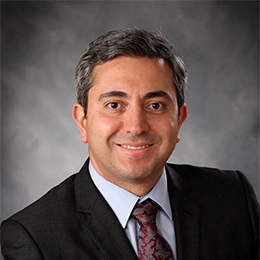 Attorney At Law Born in Beirut, Lebanon, Mr. Elkhalil currently lives with his wife and two sons in Marietta, Georgia. He attended the University of Tennessee in Knoxville, where he received his Bachelor of Arts in Political Science. He then went on to receive his J.D. from John Marshall Law School, and an LL.M. in Dispute Resolution from the University of Missouri' Columbia Law School. Additionally, Mr. Elkhalil is a member of the American Bar Association and the American Immigration Lawyers Association. 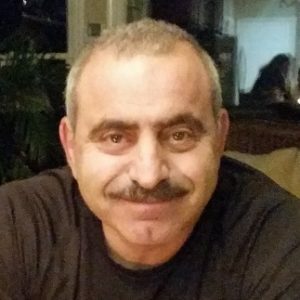 Fluent in Arabic, Mr. Elkhalil is extremely active in his community and participates in a variety of community, cultural, and civil rights organizations. 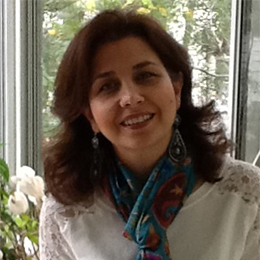 Rima Houssami is a scientist by training and a community volunteer by personal choice. She received her M.D. degree from Damascus University, Damascus, Syria, and her Ph.D. degree in Experimental Pathology from Emory University, Atlanta, Georgia. She chose to delay her career in medical research and dedicate herself for her family and to her community. Her interest in her Arab heritage led to her involvement with several local and national, non-profit, Arab American organizations. Her volunteer service career spans more than 20 years with the following non-profit organizations: The Arab American Women's Society of Georgia (board member and past-president); The Arab-American Fund of Georgia / Alif Institute (board member and past president); The National Arab American Medical Association (national board member and chapter president); The ArtReach Foundation (advisory board member). 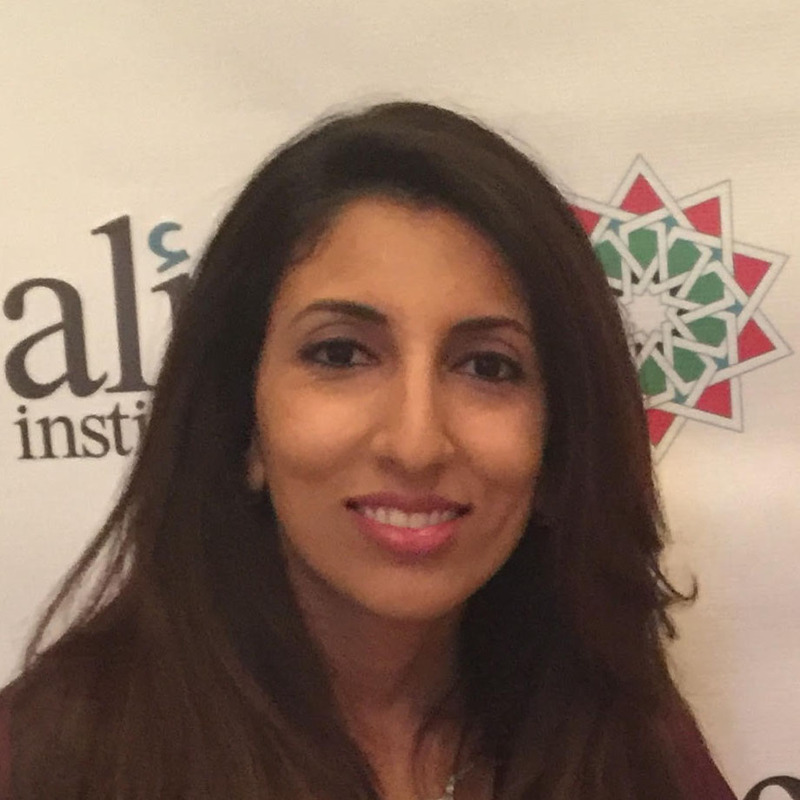 Through her involvement with the Alif Institute, she gained experience in managing small non-profit organizations, teaching the Arabic language, and educating about the Arab culture. 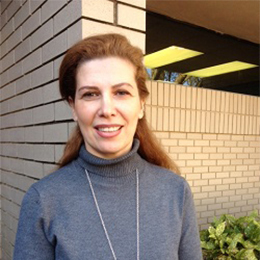 Dr. Houssami is currently a part-time instructor of Arabic at Georgia Institute of Technology. Arafat Imam came to the United States in 1976, from his birthplace of Jerusalem, to begin his undergraduate studies. After graduating with a BS in Civil Engineering from the University of Alabama, Tuscaloosa, he attended Vanderbilt University in Nashville, Tennessee where he earned his MS in Structural Engineering in 1984. Currently, Mr. Imam is with the Southern Company as a Senior Structural Engineer over the Plant Shearer Project, a $ 7MM expansion and retrofit of the largest power plant east of the Mississippi. He is an active member of his homeowner's association, serves as a Board Member to the Alif Institute, is a USSF Grade 8 certified referee and a tireless volunteer for Gwinnett Senior Services and Habitat for Humanity. On any given weekend, he might be re-roofing a senior citizen's home, clearing a community park, or serving hamburgers at a high school football game. Mr. Imam joined the board of Alif Institute in 2006 and served as secretary of the board in 2008, 2009 and as Vice President in 2010. Mr. Arafat Imam passed away in July 2017. Dr. Ihsen Ketata was born and raised in Tunisia until the age of 21, when she had to leave to pursue her graduate study in France. Ihsen received her Ph.D. in strategic management and her master's degree in economic analysis, modeling and quantitative analysis from the University of Montpellier 1, France. During her doctoral studies, she taught several courses in French both at the University of Montpellier I, France and at the Institut Supérieure d'Administration des Affaires of Sfax (ISAAS), Tunisia. Ihsen has served as a visiting assistant professor at the ISAAS, Tunisia and had a Temporary Appointment for Instruction and Research in the University of Montpellier I. In 2005, Ihsen joined Georgia Tech-CIBER (Center for International Business education and Research) as post-doctoral fellow, where she continued her research in the area of multinational company strategies. Currently, Ihsen serves as a consultant for GSU-CIBER. In this capacity, she leads several students' projects and competitions, implementation of workshops, conferences and guest speaker events and assists with the visiting scholar program in support of the center's goals and objectives. She also teaches in the Institute of International Business. Ihsen has initially joined GSU-CIBER as Director where she helped founding the Southeast US Higher education Consortium for International Business, was instrumental in many grant writings, created the International Business Field Study course and added it to the International Business certificate, led the center's research grant, and co-chaired conferences like CIMaR 2011 and conducting business in the Middle East. Ihsen is a member of the Tunisian American Young Professional association (TAYP), the Academy of Management, and the Academy of International Business. Ihsen joined the board of Alif Institute in 2013, and served as president of the board in 2015 and 2016. 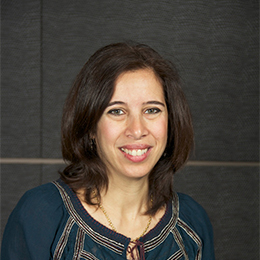 At the national level, she serves on the Advisory Board of the Arab American National Museum. In 2016, Dr. Ketata moved with her family to New York. Jean Leon is a prominent businessman and a dedicated community volunteer. Born in Antioch, Syria, Mr. Leon moved later on to Aleppo, Syria, where he established a successful tailor shop. In 1957, he immigrated to Boston, Massachusetts, where he had a distinguished and acknowledged career that culminated with the establishment of “Leondaca”, an Haute Couture fashion store. In 1979, Mr. Leon moved to Atlanta, Georgia. Empowered by his entrepreneurial skills, he established the “Middle East Baking Company”, the first automated Arabic bread company in the southeast. The bakery grew to include Middle Eastern groceries and pastries. 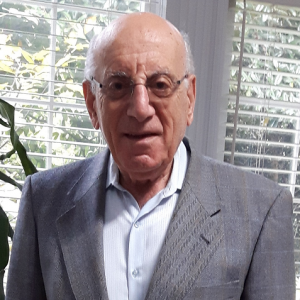 Mr. Leon’s dedication to his community is highlighted by his involvement with the Arab American Fund of Georgia / Alif Institute, and the Arab American Business and Professional Association. 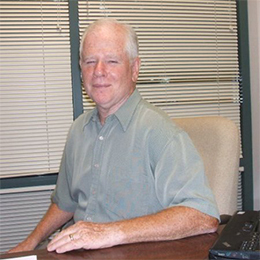 He is a founding board member of both organizations, in 1986 and 1990 respectively. He served as treasurer of AAFG for several terms and had a significant role in fundraising for the establishment of Alif Institute. Dr. Abdallah Najjar, his brothers and cousins, left Lebanon to serve in the U.S. Army during WWII. Their fathers had previously immigrated to the U.S. and served in WWI. Poster, Dr. Najjar picked a new fight, working for USAID and the CDC in Atlanta to eradicate infectious diseases. He traveled to dozens of countries and became director of international health services at CDC hosting all international visitors. 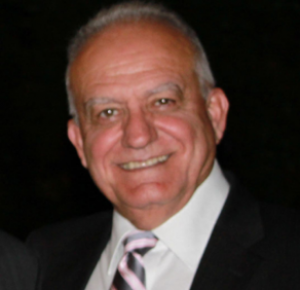 Dr. Najjar is also one of the founders of the Arab American Fund of Georgia, Inc/AAFG. The AAFG is non-profit organization that was establiseh in 1986 and then created the Alif Institute in 2004. Dr. Najjar published his memoir entitled "From Baakleenb to Atlanta". 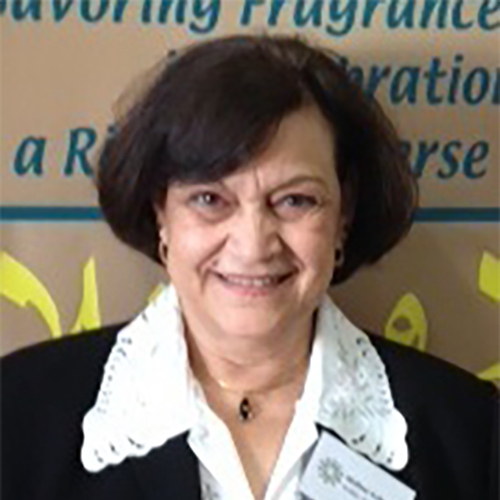 Ghada Muhanna is a community volunteer who, for over 25 years, has dedicated her talents and professional skills to enhance appreciation of the Arab culture and heritage. She graduated from Damascus University with a Bachelor's Degree in Science and later received a Master's Degree in Science from the Georgia Institute of Technology. Following her graduation from college, she served as a volunteer chair of the Cultural Committee at Tartous Oil Terminal, Syria. She also supervised the Vocational Training Center for Women in Tartous. 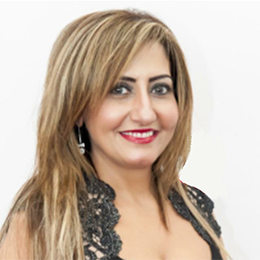 Since immigrating to the U.S. and out of her strong belief in a common vision for the future of her community, Mrs. Muhanna helped found in 1985, the Arab American Women's Society of Georgia (AAWSG), an educational and charitable organization. She served as its president in 1991-1993, 1996, and 2005. When Atlanta hosted the Olympic Games in 1996, she volunteered as an Envoy with the Atlanta Committee for the Centennial Olympic Games. 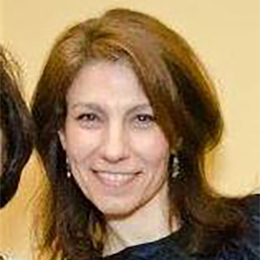 In 1999, Mrs. Muhanna joined the board of the Arab American Fund of Georgia and was one of the founders of Alif Institute in 2004, serving as its president from 2008-2010. She is currently serving as the Vice-President and as the Director of the Arabic Language program. 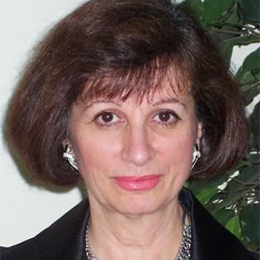 At the national level, she serves on the Advisory Board of the Arab American National Museum since 2004.